The Uneeda Medical Supply Company, based in Louisville, KY, has been putting out quality zombies since July 3, 1984, and now they’re introducing a new model. Uneeda officials said if you continue to need it, they’ll continue to “got it.” And they got it. Uneeda has also doubled their production quantities, but Burt assures customers that they can expect the same quality zombies they've been accustomed to getting from Uneeda for the past 30-plus years. “These two are going to make great zombies,” said Freddy, Frank's understudy at Uneeda. "We're putting them through our secret 'zombie-making process' now." 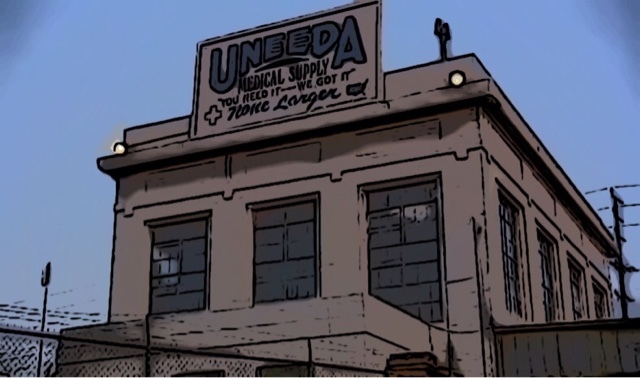 According to a Uneeda report, the zombie factory is at work on still more improvements to their products. Burt told reporters not to worry, that Uneeda has some top-secret improvements in store for their popular Tar Man zombies, split dogs and butterfly “walkers.” One can only guess what to expect. We asked if these zombies to come are being made to want more brains than the world had to give, but Burt wouldn’t tell. It’s not a bad question, Burt.